Click #7 for a 3-D image (3-D glasses required). What if supervillains lived among us? That's the question posed by this fitfully amusing animated feature, which follows a hulking, Lugosi-accented baddie named Gru (Carell) as he tries to steal the moon. (Yes, the actual moon.) 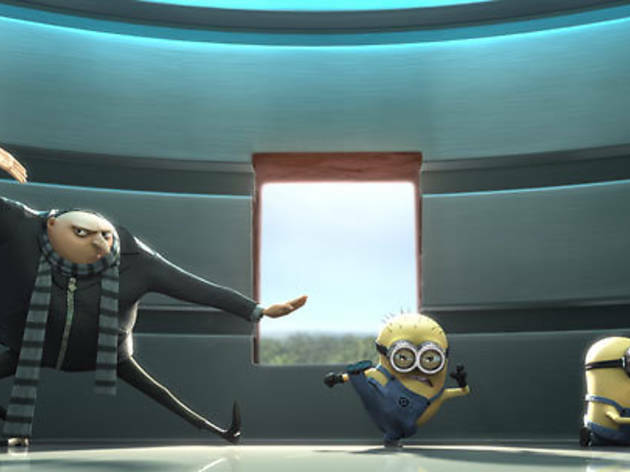 Gru's the kind of guy who'll make a balloon animal to soothe a crying child---and then pop it. But his malicious genius is barely in demand, thanks to hot young turk Vector (Segel), who's stolen the Great Pyramid of Giza and hidden it in his backyard. 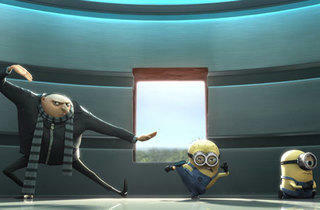 Vector also has a shrink ray that Gru needs to pinch so he can get a scheme-funding loan from the Bank of Evil ("formerly Lehman Brothers"---the film's best joke). What better way to make his nemesis lower his guard than with a doe-eyed trio of cookie-selling orphans?